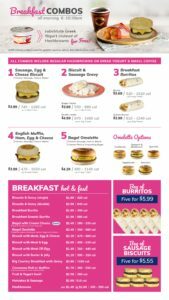 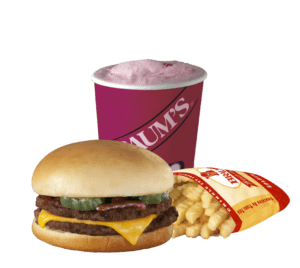 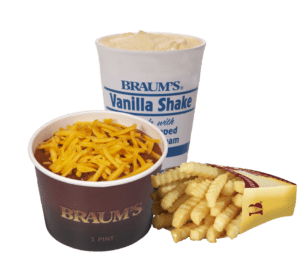 Generous portions of Braum’s favorite breakfast, lunch and dinner specialties make sure that your belly is full – and you still have plenty of change left in your pocket for dessert. 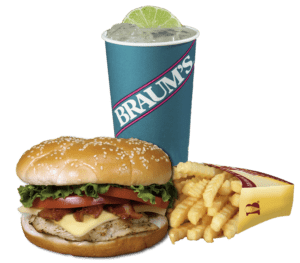 Choose from our yummy burgers or sandwiches – add some crinkle fries and a soda or a signature Shake with your combo meal and ENJOY. 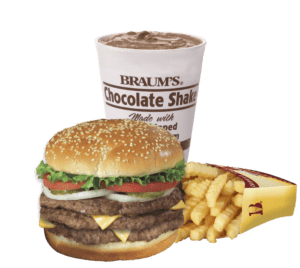 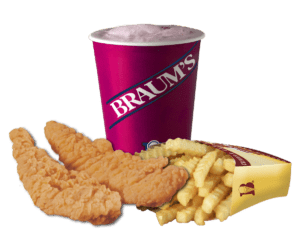 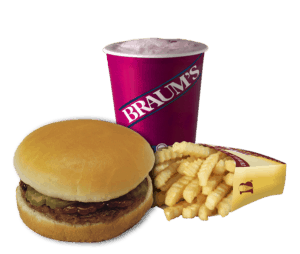 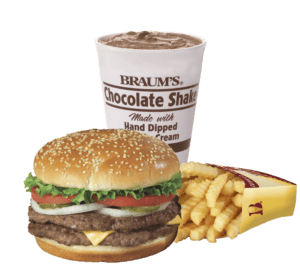 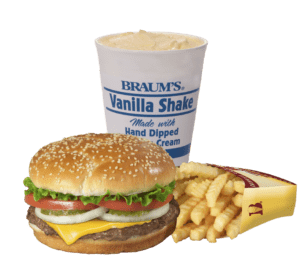 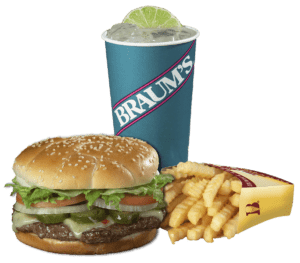 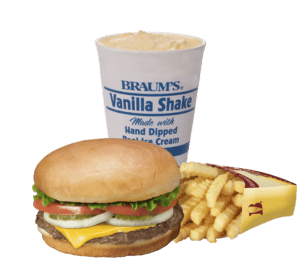 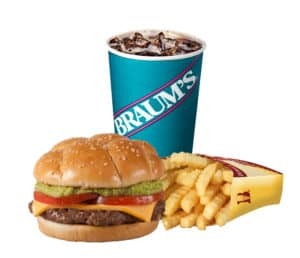 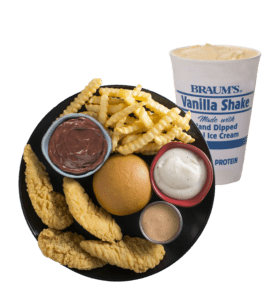 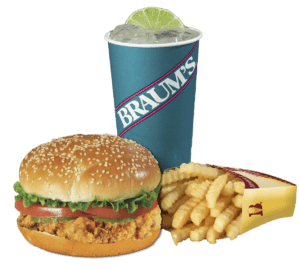 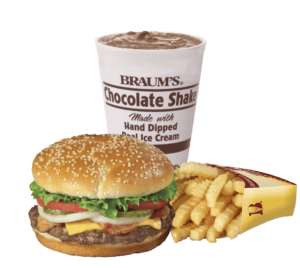 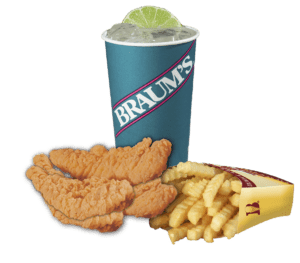 With all Braum’s Combo meals, choose medium fries or Greek yogurt for your side and add a 16 oz shake or 22 oz soft drink.